How would you reshape existing energy networks to integrate new and emerging technologies for regional areas to maximise renewable power sources? The future of energy networks will be driven by customer choice, with renewables having a large part to play in the energy mix. Increasingly energy networks will act as platforms for retail and residential customers to choose how they want their electricity supplied and delivered. Operators will continue to foster and enable the connection of renewables – a generation source that continues to grow. Micro grids will enhance power supply on the edge of the grid, while Stand-alone Power Systems will bring new opportunities for isolated customers. As part of its plan for the future, Western Power with the aid of the City of Albany and Atomic Sky rallied some of the brightest local minds to imagine a blueprint of a future smart city. Speakers included Western Power Senior Executives Fiona Bishop and Matt Cheney, Albany Mayor Dennis Wellington, Sunrise Energy Director Neil Canby and leading innovator Dr Natasha Ayers. 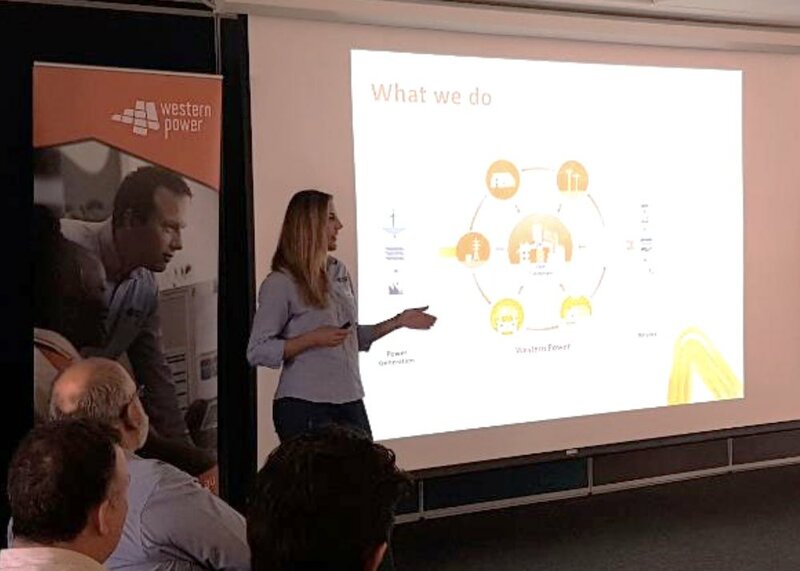 Outcomes from the workshop feed into Western Australia’s first Energy Self-Sufficiency Hackathon in Perth (22-23 March 2018).